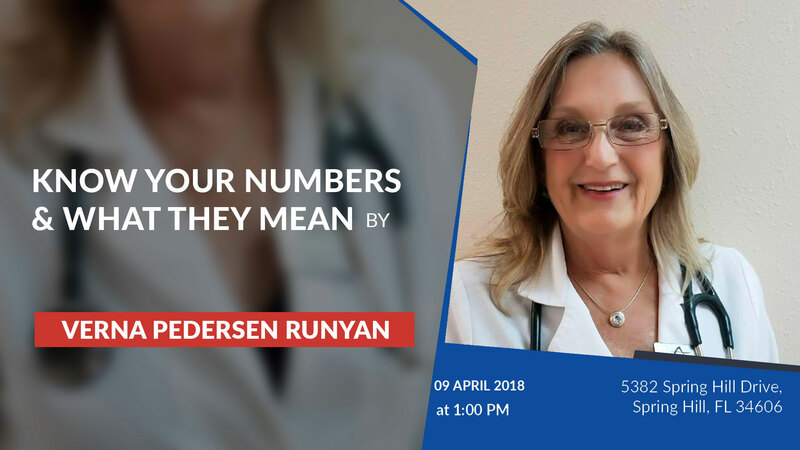 Lecture On "Know Your Numbers and What They Mean to Your Health"
Access Health Care Physicians, LLC offers an education series by Verna Pederson Runyan, ARNP-C, CDE to be held at Access Health Care, 5382 Spring Hill Drive, Spring Hill, at 1 pm. The series is conducted by Verna Pedersen Runyan, ARNP-C, CDE. Ms. Runyan is a graduate of Soumi College, Clinton Community College, the State University of New York at Plattsburgh, and Community General Hospital, Nurse Practitioner Program, Syracuse, NY. The next lecture in the series will be held on January 8 and is entitled “Know Your Number and What They Mean to Your Health” What is the significance of HBA1C, weight, waist size, lipids and blood pressure? The more informed you are, the better your outcome.